The Italian Air Force (Italian: Aeronautica Militare; AM) is the aerial defence force of the Italian Republic. The Air Force was founded as an independent service arm on March 28, 1923, by King Victor Emmanuel III as the Regia Aeronautica (which equates to "Royal Air Force"). 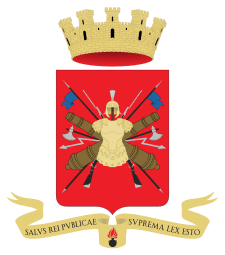 After World War II, when Italy was made a republic by referendum, the Regia Aeronautica was given its current name. Since its formation the service has held a prominent role in modern Italian military history. The aerobatic display team is the Frecce Tricolori. Among the earlier adopters of military aviation, Italy's air arm dates back to 1884, when the Italian Royal Army (Regio Esercito) was authorised to acquire its own air component. The Air Service (Corpo Aeronautico Militare) operated balloons based near Rome. In 1911, reconnaissance and bombing sorties during the Italo-Turkish War by the Servizio Aeronautico represented the first ever use of heavier than air aircraft in armed conflict. 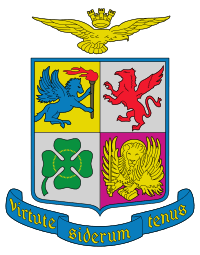 On 28 March 1923, the Italian air force was founded as an independent service by King Vittorio Emanuele III of the Kingdom of Italy (Regno d'Italia). 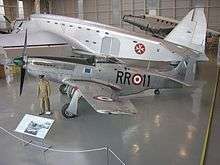 This air force was known as the Regia Aeronautica (Royal Air Force). During the 1930s, the fledgeling Regia Aeronautica was involved in its first military operations, first in Ethiopia in 1935, and later in the Spanish Civil War between 1936 and 1939. After a period of neutrality, Italy entered World War II on 10 June 1940 alongside Germany. The Regia Aeronautica could deploy more than 3,000 aircraft, although less than 60% were serviceable. The Regia Aeronautica fought from the icy steppes of Russia to the sand of the North African desert losing men and machines. After the armistice of 8 September 1943, Italy was divided into two sides, and the same fate befell the Regia Aeronautica. The Air Force was split into the Italian Co-Belligerent Air Force in the south aligned with the Allies, and the pro-Axis Aeronautica Nazionale Repubblicana in the north until the end of the war. The end of the hostilities, on 8 May 1945, opened the gates to the rebirth of military aviation in Italy. The Peace Treaty of Paris of 1947 placed severe restrictions on all of the Italian armed forces, but then the establishment of NATO in 1949 with Italy as a founding member brought about the necessity for the modernization of all of the Italian armed forces, including the Italian Air Force. American military aid sent by the Mutual Defense Assistance Program brought about the introduction of American-made P-47 Thunderbolt and P-51 Mustang propeller-driven fighter planes. Then in 1952, the Italian Air Force was granted jet fighters for the first time, American F-84G Thunderjets and F-86D Sabre jets. Next F-84F jet fighters and C-119 Flying Boxcar transport planes were sent from the United States to the Italian Air Force. The reborn Italian aviation industry also began to develop and produce a few ingenious aircraft designs of its own, such as the Fiat G91, the Aermacchi MB-326, the Piaggio Aero P.166, and the line of Agusta-Bell helicopters. The first supersonic fighters to serve in the Italian Air Force were American-designed F-104 Starfighters that were produced by a group of several European aircraft companies that included Messerschmitt-Bölkow-Blohm, Dornier, Fiat, Fokker, and SABCA. During the 1970s, the Air Force acquired the Italian Aeritalia G222 and the modern American C-130 Hercules tactical transport planes, capable of carrying cargo or paratroopers. It also received the new Lockheed-Aeritalia F-104S Starfighter fighters for ground attack and air-defense purposes. 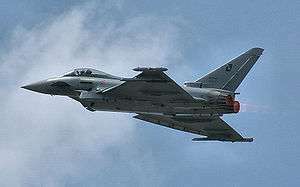 A push to expand the Italian aircraft industry led Italy into the trilateral project that developed the Panavia Tornado fighter-bomber and air-defense fighters along with West Germany and the United Kingdom. This was a huge development and production project. Tornado fighters are still in service with all three countries, plus a few more, as of 2012. Also, Italian companies worked together with the Embraer Company of Brazil in the smaller project of developing and producing the AMX International AMX aircraft. In 1990, after the Iraqi invasion of Kuwait, Italy joined the coalition forces, and for the first time in 45 years Italian pilots and aircraft were assigned to combat operations. With the need to replace the obsolescent F-104 Starfighters, Italy joined with Germany, Spain, and the United Kingdom in the development of the Eurofighter Typhoon. With the Eurofighter Typhoon still some years from introduction to service, in 1994, 24 Air Defence Versions of the Panavia Tornado were leased from the United Kingdom for a period of 10 years. The ADV Tornados served as fighter-interceptors to supplement and then to replace the old F-104 Starfighters. The last of the Italian F-104s was removed from service in 2004. 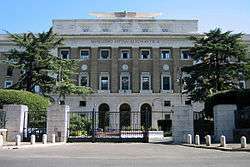 Armed conflicts in Somalia and Mozambique, and on the nearby Balkan Peninsula, led to the Italian Air Force becoming a participant in multinational air forces, such as the NATO force over the former Yugoslavia. This latter one occurred just a few minutes flying time east of the Italian peninsula, and the commanders-in-chief of the Italian Air Force soon saw the need to improve the Italian air defenses. The Eurofighter Typhoons were originally expected to enter service beginning in the year 2000, but this did not happen on time. Hence the Italian Air Force needed to search for a supplement, and then a replacement for the Panavia Tornado Air Defence Version fighters that the Italian government had leased from the United Kingdom. This lease was expiring in 2004, and the Italian government did not want to take on the high expense of extending the lease. Hence the Italian government turned to the United States, and it leased from the Americans 34 F-16 Fighting Falcon multirole fighter planes for the Italian Air Force on multi-year leases. The last of these fighters was returned to the United States in May 2012, following the Air Force's acquisition of a sufficient number of Eurofighter Typhoons over a period of several years. These Typhoons will serve at first in the mission of air-defense fighters after finally having replaced all of the F-104s, all of the Tornado ADVs, and all of the F-16s. The capability of the Italian Air Force in air transportation has been improved with the acquisition of 22 American C-130J tactical transports, and 12 Alenia C-27J Spartans, which have replaced all of the G222s. In 2003, the Italian Air Force extended its capabilities to small-scale land warfare by small special forces units. This was done by forming the 17º Stormo Incursori ("17th Special Operations Wing"), also known as RIAM, Reparto Incursori Aeronautica Militare (Air Force Raiders Group). This is a unit that is aimed primarily towards missions such as raids on land-based aeronautical compounds, on Forward Air Control units, and in Combat Search and Rescue operations. As of 2014, the Italian Air Force operates a total active fleet of 557 aerial vehicles, of which 209 are manned combat aircraft and 12 Unmanned combat aerial vehicle. In addition there are 14 more Eurofighter Typhoon on order and 75 F-35 planned for the Italian Air force. These figures have been taken from Flightglobal.com and the International Institute for Strategic Studies. The Air Fleet Command (Comando della Squadra Aerea or CSA) controls all operative units, the intelligence and electronic warfare capabilities, and the operational headquarter of the air force. The CSA ensures that unit is equipped, trained and prepared for combat duty and controls them during combat operations. 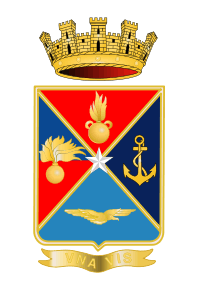 The Comando Operativo delle Forze Aeree (Air Operations Command or COFA) conducts all operations of the Aeronautica Militare. 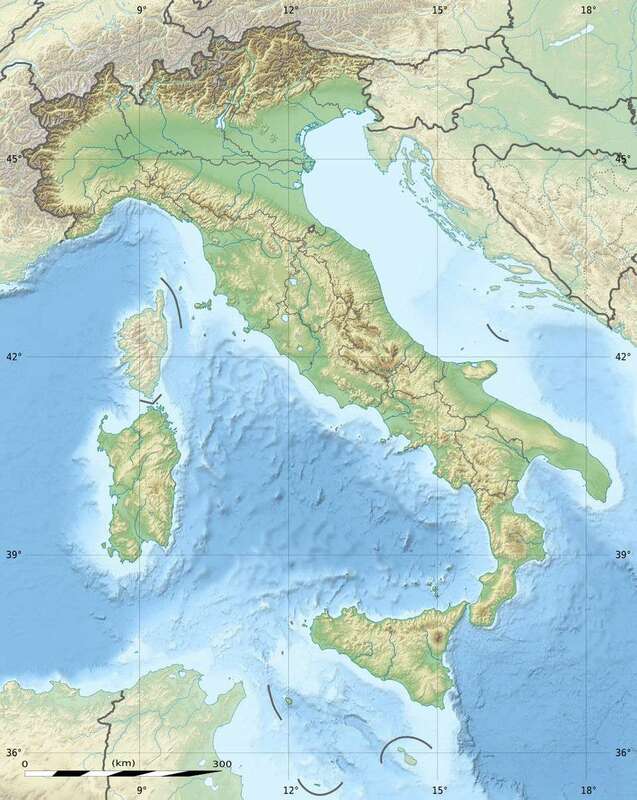 The COFA controls all military radar installations in Italy and its Gruppo Riporto e Controllo Difesa Aerea coordinates the control of and if necessary the defence of the Italian Air-space. If needed the COFA can directly employ and command all units of the Air Fleet Command. The Air Force Logistic Command provides operational units with all the required necessary logistics, combat support and service support functions. The 1st Air Region provides territorial functions and liaisons with communal, provincial and regional administrations in the North of Italy. ↑ Italy opens F-35 assembly line, as political opposition grows. Flightglobal.com (2013-07-18). Retrieved on 2013-08-16. ↑ Italian Air Force. The Aviationist. Retrieved on 2013-08-16. ↑ .Schede Aeromobili Aeronautica Militare. ↑ "World Air Forces 2013". Flightglobal.com, 11 December 2012. ↑ "The Military Balance 2013"., 14 March 2013. ↑ "Air Force Organisation". Aeronautica Militare. Italian Air Force. Retrieved 27 September 2016. ↑ "Il portale dell'Aeronautica Militare - Chiuso 5° Stormo, giunti HH-3F 15° Stormo". Retrieved 23 December 2014.